← Is a Rug Blogworthy? I have been looking for a pillow for the rocking chair in Lily’s room but I wasn’t sure what I wanted so I finally decided to try and make my own. I’m still new at sewing. My previous pillow project was simple because I essentially sewed two napkins together. This time it was trial and error since I didn’t have a pattern. 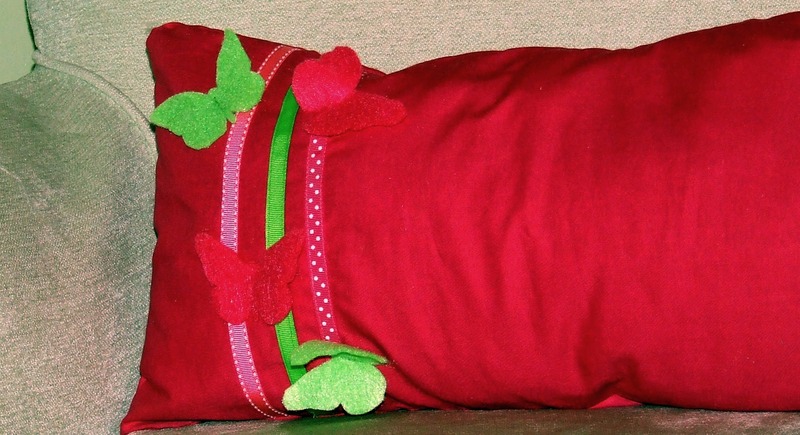 I made a lumbar pillow and embellished it with ribbon and butterflies using the two primary colors of her bedding. As you can see, it’s not perfect but you have to start somewhere. Pillow insert or Pillow – Since this is an envelope pillow cover and I can easily remove the pillow, I used a pillow I already had. 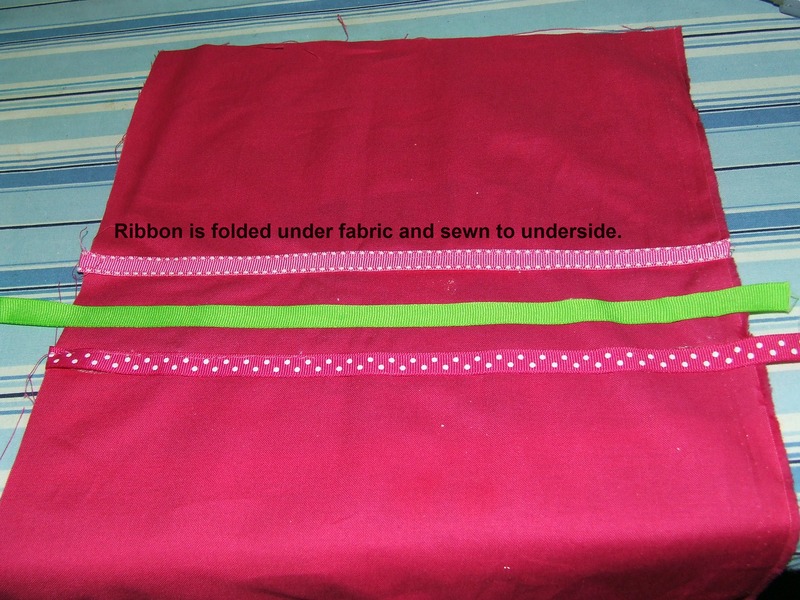 Fabric – I purchased a hot pink fabric at Micheal’s. Felt- I would suggest a strong wool felt. I used a basic felt that was is flimpsy and can pull apart easily. Butterfly image – I did an online search to find a butterfly template to match the size of butterfly I wanted. Measure the pillow. 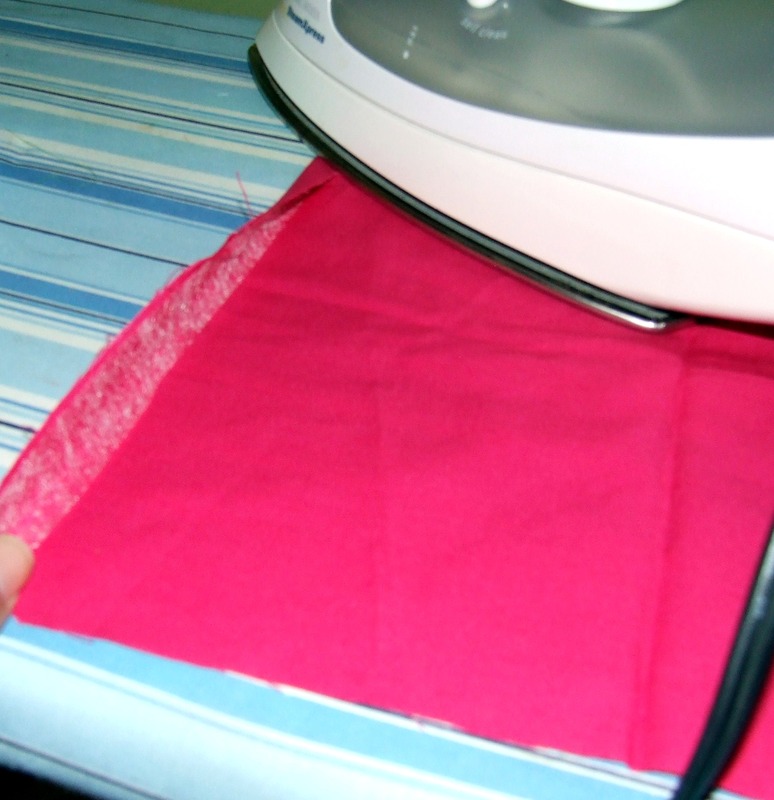 You will need to cut two pieces of fabric which will become the front and back of the pillow. You want to add an inch to the width and length of your first piece. For the second piece, I added an inch to the width and four inches to the length of the second piece. For an envelope pillow, you need to account for the overlap of the backside. You can always cut off the excess later. 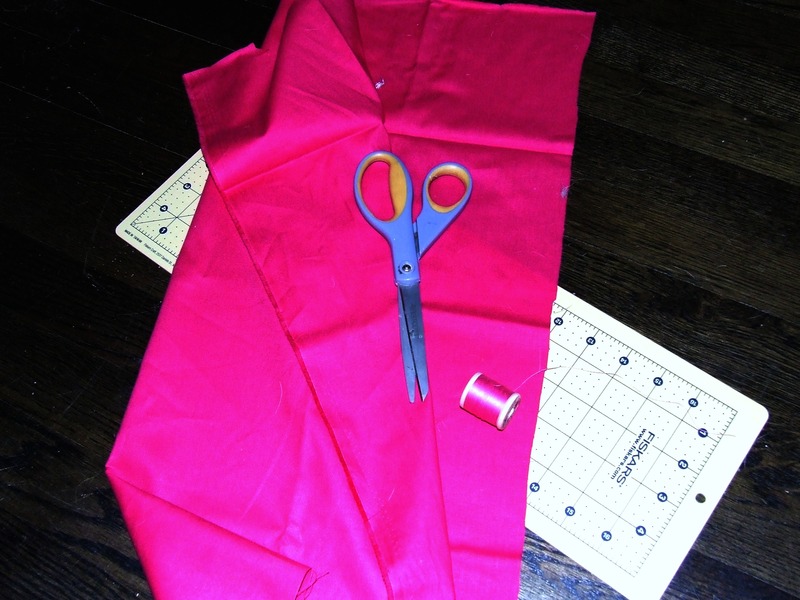 Cut two pieces of fabric according to your measurements. Cut the longer piece (the back of the pillow) in half. These are the pieces that will overlap and create the opening for the pillow. They will be visible so you will want them to have the finished appearance. I folded the fabric about 1/2 an inch a couple of times to hit the frayed edges. 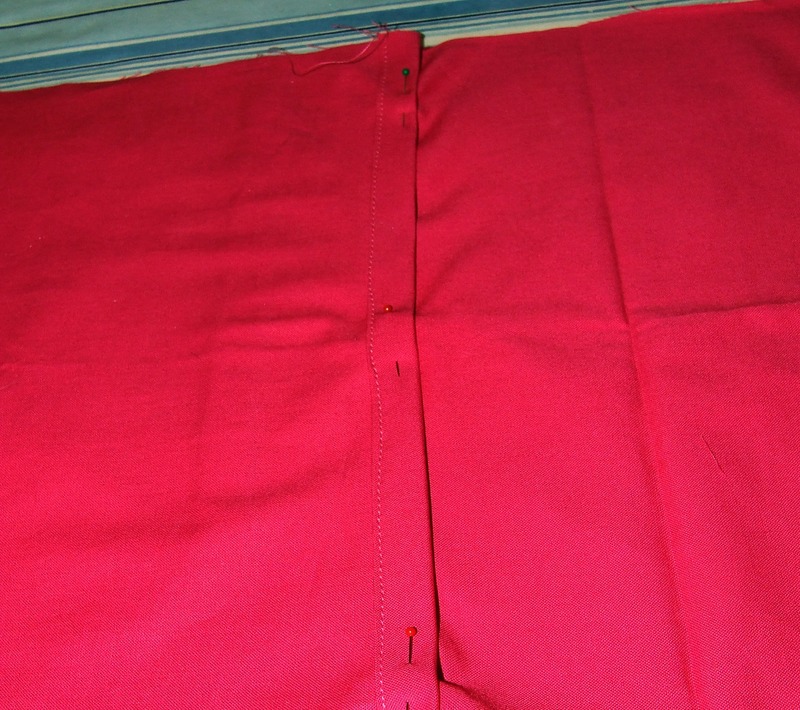 This is where I used the stitch witchery to keep the fabric flat and make it easier to sew. Then I sewed a seam (picture not included). I didn’t want the pillow to be too plain so I added some ribbon. I cut the ribbon an inch longer than the width of the fabric. That way I could fold about half an inch of fabric over each side at sew it down on the underside of the fabric. I used the stitch witchery to keep the ribbon in place. This step is optional, but it made it a lot easier to sew. I sewed a straight stitch from the front of the pillow cover sewing very close to the edges of the ribbon. Next, turn the right sides facing each other (i.e. the pillow case is inside out). I overlapped the two back pieces two inches and pinned it to keep the two pieces of fabric aligned. I then sewed all four sides about 1/2 an inch from the edge. 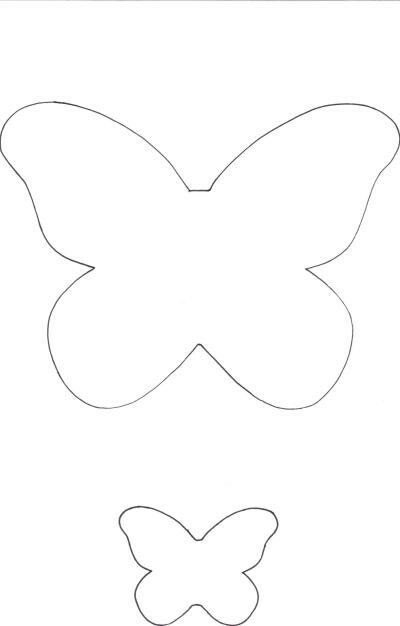 Next cut out the butterfly template. 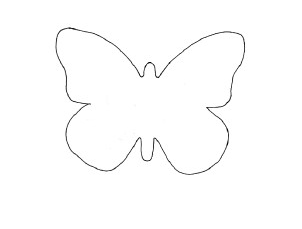 I did a Google search for “printable butterfly templates images”. This is the image I used. Click here for another butterfly image template courtesy Thirty Fun. Use a fabric marker (or pencil) to trace the pattern onto the felt. Cut out the number of butterflies you wish to use. 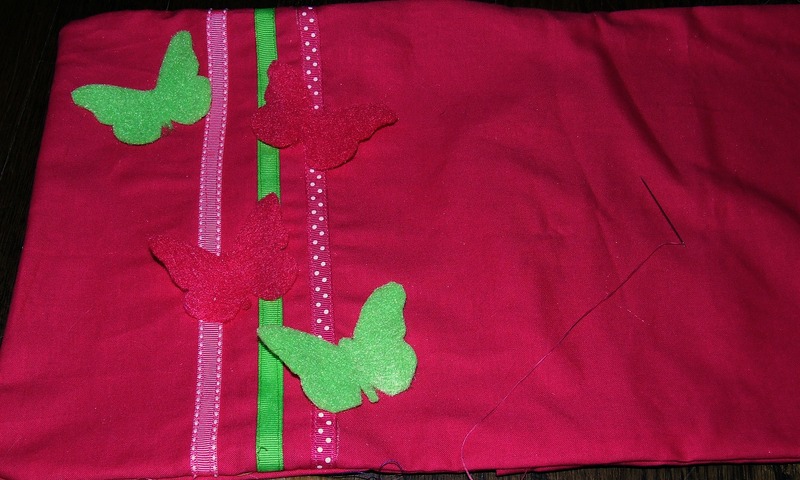 After the pillow case is sewn together, turn it right side out and play with the placement of the butterflies. My butterflies did not end up where I originally planned. You may want to pin the butterflies in place. 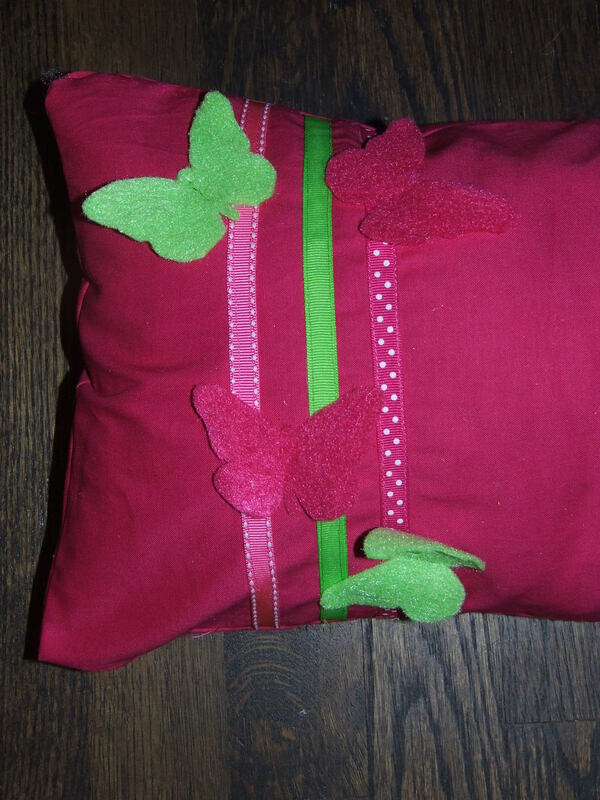 Next, hand-sew the butterflies to the pillow front with several straight stitches at the center of each body. Leave the wings free. Insert your pillow or pillow insert and viola! Thank you for taking the time to visit me! If you have any questions or feedback, just leave a comment and I’ll respond! 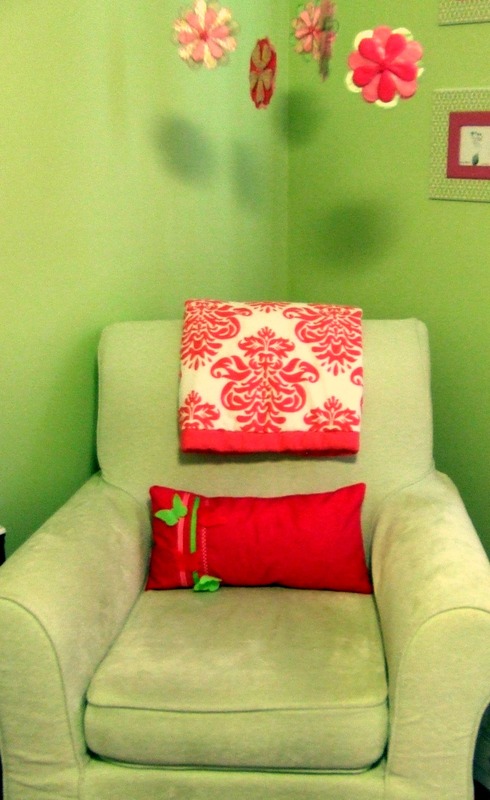 This entry was posted in Decorating, DIY Projects, Our Home and tagged decorating, DIY pillows, DIY projects, sewing. Bookmark the permalink. I think it’s beautiful! Of course I’m really partial to anything butterfly! You did a really great job. I’ve never made a pillow but have always wanted to. Very pretty pillow! Great job!